Where does the firewood for the cosy warm fireplace or tile stove in the living room come from? With the forest set the individual steps from felled timber to the chopped firewood can be re-enacted through play. From the large tree section smaller pieces are cut with the aid of the chainsaw, these pieces can then be further processed with the log splitter into logs that are easier to handle. Naturally muscle power is still required here. The chainsaw cannot do everything. The axe and hand saw are provided for these tasks. Occupational health and safety is always in the forefront when "chopping wood". Consequently the play figure is also equipped with a protective vest and hard hat with visor. 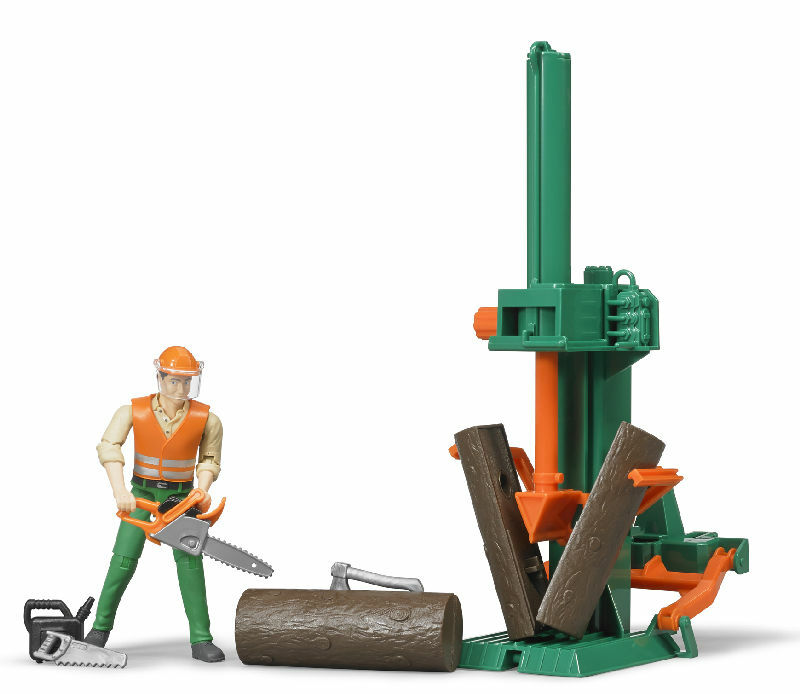 The figures can securely hold the tools thanks to their grip hands.